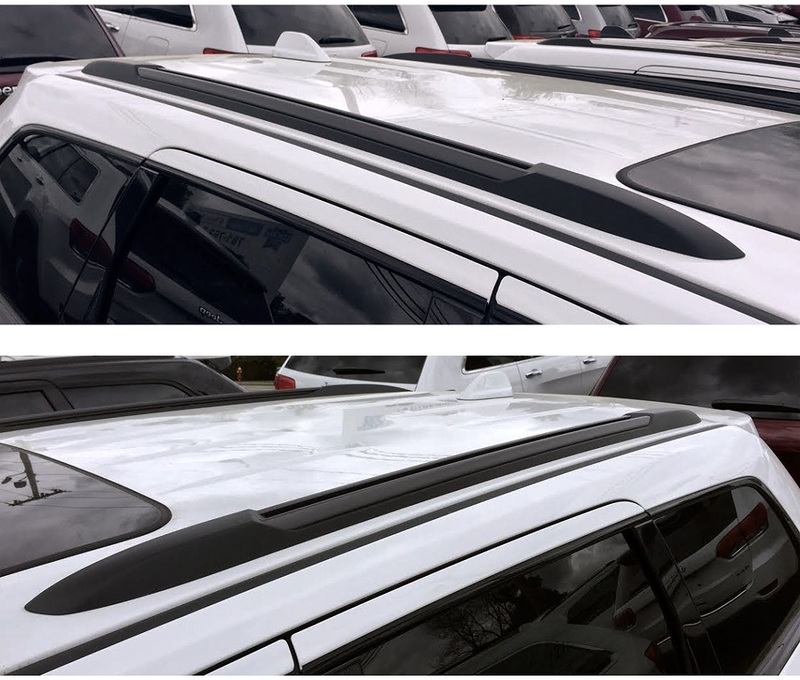 Finally, now you can replace your Jeep's chrome roof side rails with the new Neutral Grey roof side rails from the 2017 Trailhawk Grand Cherokee. 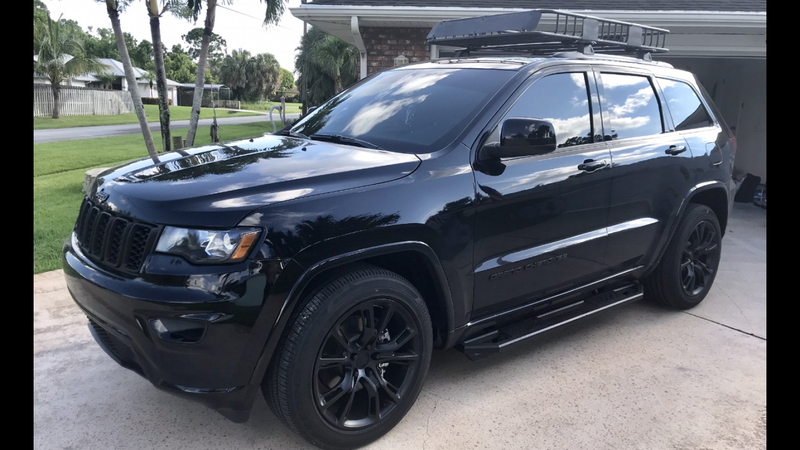 The Neutral Grey Side Rails give you another item you can swap out if you are looking to get rid of your chrome and give your Jeep that "Blacked-Out" look. 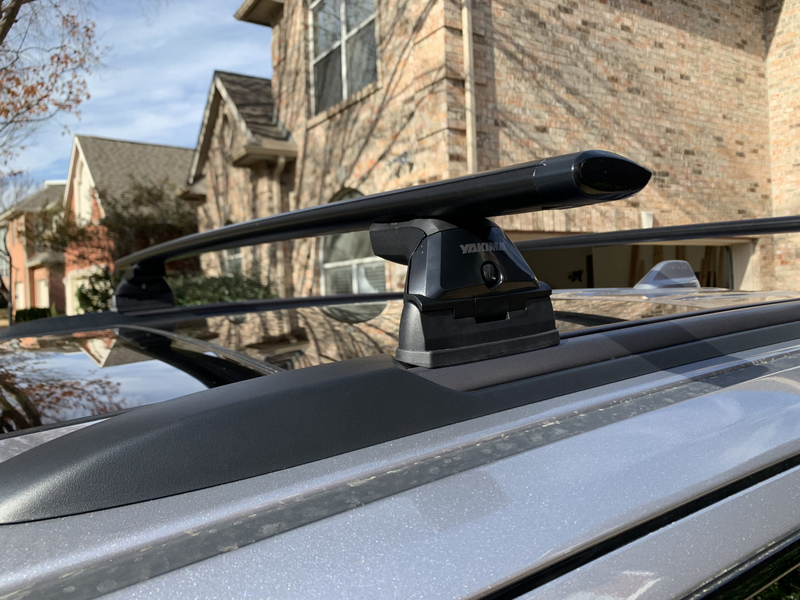 The roof side rails are a first step toward being able to mount other accessories for carrying sporting equipment or extra cargo. 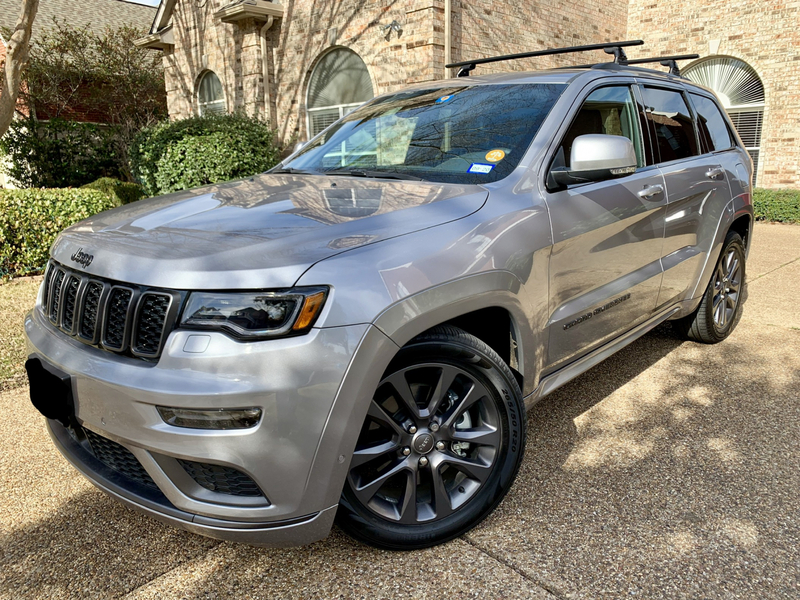 Note that these neutral grey side rails are not an exact replacement for the black plastic rails that come as standard equipment on some Grand Cherokee models. 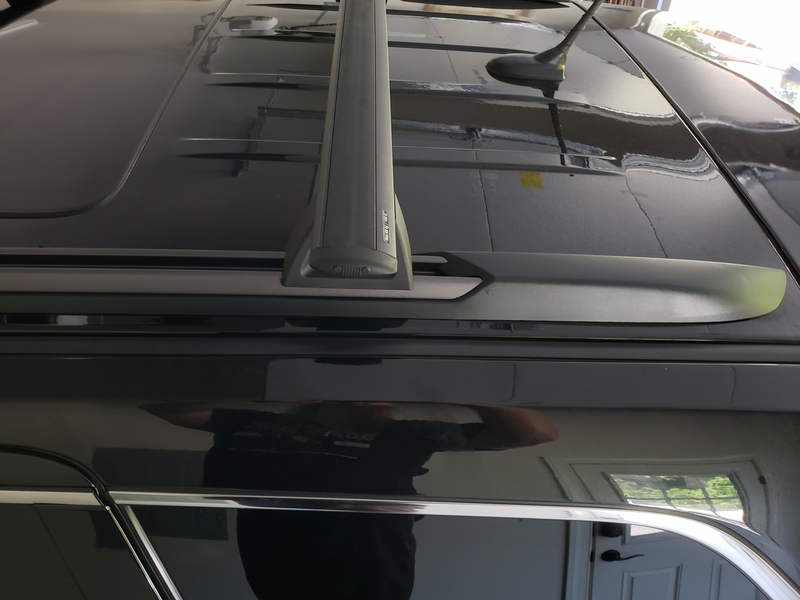 If you're uncertain about installation, consider having the side rails installed by your Jeep dealer or a body shop. 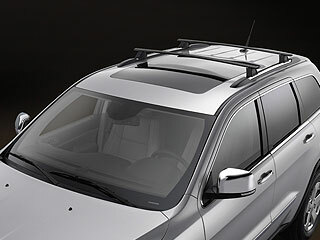 Roof Rack Side Rails are sold as a pair. This was a good call. 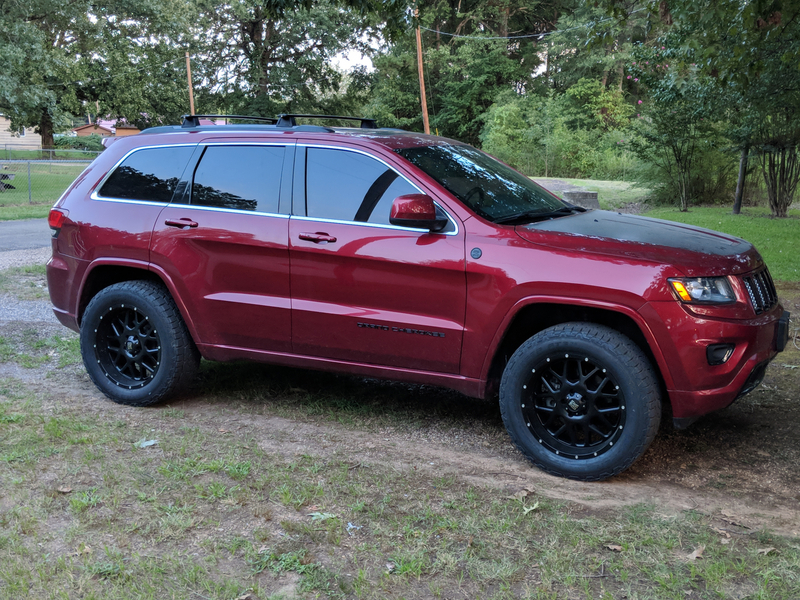 I bought these for a 2018 Grand Cherokee Summit bc the dealer stripped the car they sold and replaced them the plastic slugs. If buying one of these I strongly encourage you to check the roof rails - mine still even had the dirt line around where the old ones were removed - as if done the same day. I bought 2015 GC rails bc they don't make them for the summit per se. Bu they work just the same. Anyway, these were super easy to install and the charcoal grey looks awesome with the exterior paint. I have since added crossbars and installed them without any issues. No noise and super snug fit. Very happy so far. 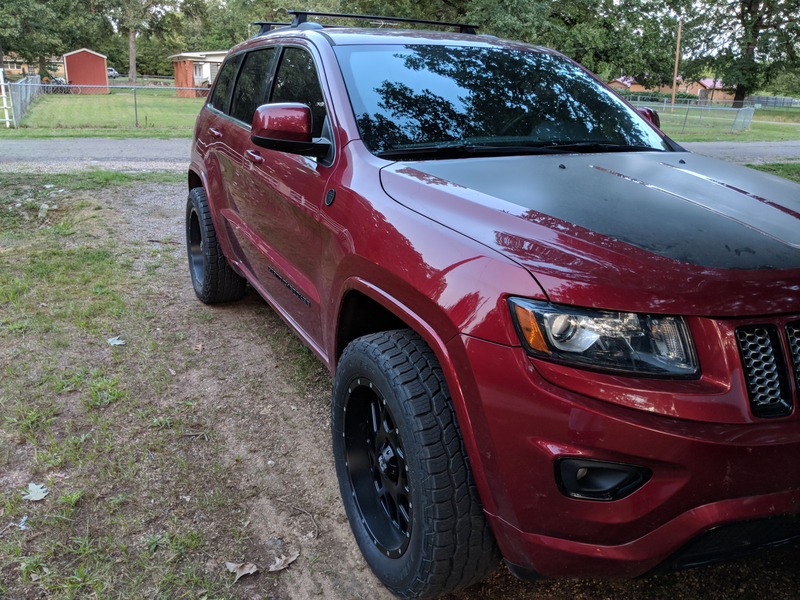 I replaced the plastic trim that comes with the Grand Cherokee Altitude with the roof tracks The holes aligned well and I use the same fasteners and washers. I recommend to remove the washers from the front bolt. And glue the plastic washer to the next four loacations to the car side with silicone so they stay in place. 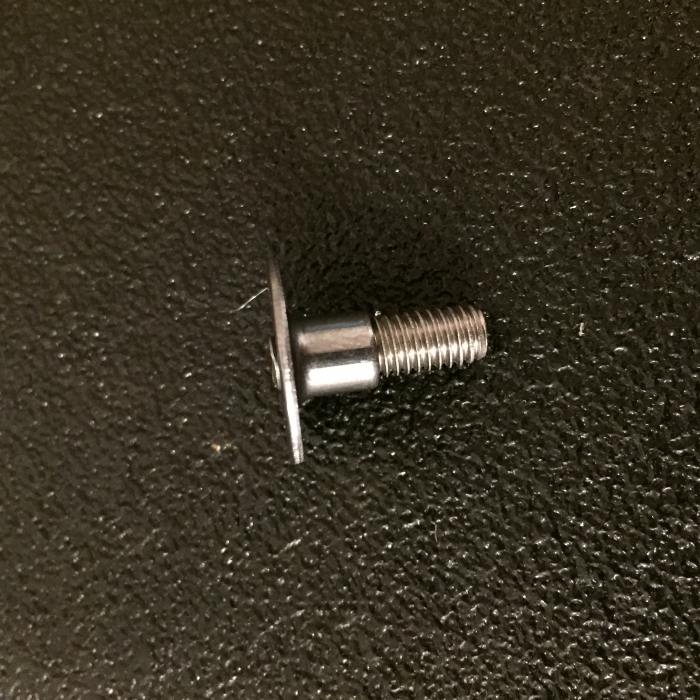 For the last bolt (rear end) the washer needs to be glue to the bolt head side not to the car side. Once you do that, it literally takes 15 min to finish the job. I did a lot of research before I purchased these side rails. Several people who reviewed these rails said that the holes didn't line up and they had to do all sorts of fabricating. 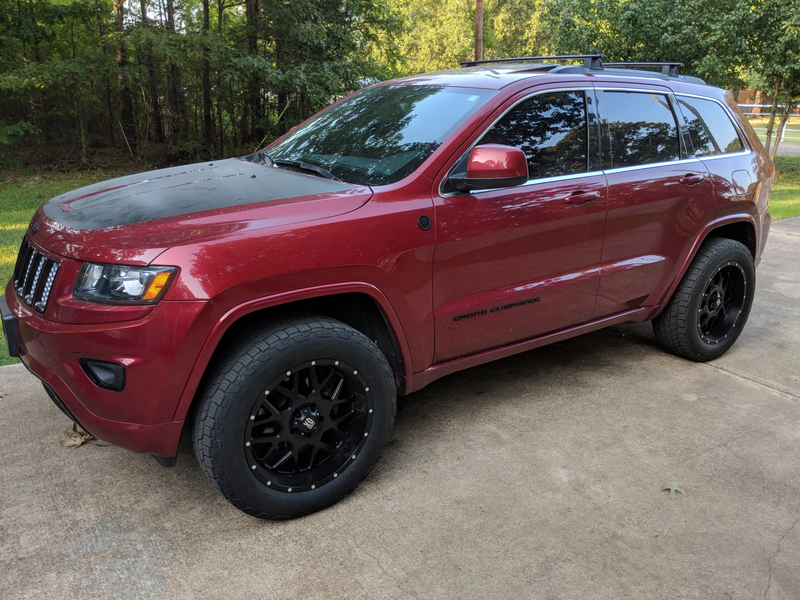 I have a 2017 Grand Cherokee Altitude Edition and I removed my old pointless "decorative" ones and saved the plastic washers to use for these new rails. Every hole lined up perfectly and was a super easy install. The only issue comes with the rear end of the rails and getting the screws tightened but I simply drilled a small hole in the plastic and fit my drill bit perfectly through there to tighten it up. Great product and to those with no car experience don't worry you can handle it! Looks great installed. I have a High Altitude version that had the plastic covers. All the bolt holes line up perfectly, but the plastic ends of these rails need to be held in place with a low height thin flat head bolt. I ground down the existing bolts and then used a plastic spacer to hold them above the roof for space to slide the plastic rail ends over them. All In all recommended roof rails, even for those jeeps without the factory ones already installed. The side rails are a must have on a high altitude Jeep Grand Cherokee that came with factory plastic useless rails. As mentioned in other posts it takes a bit of patience installing the front and rear points do to the way they have to slide them into place. I didn�€™t have to do any drilling or anything other than using the same factory screws. The rails are absolutely rock solid once installed properly. Slide from back to front. I also removed the front washer that was atached to the screw for an easier fit. Bottom washer (bigger of the two) I left in place and thats the washer on the bottom of the rails. 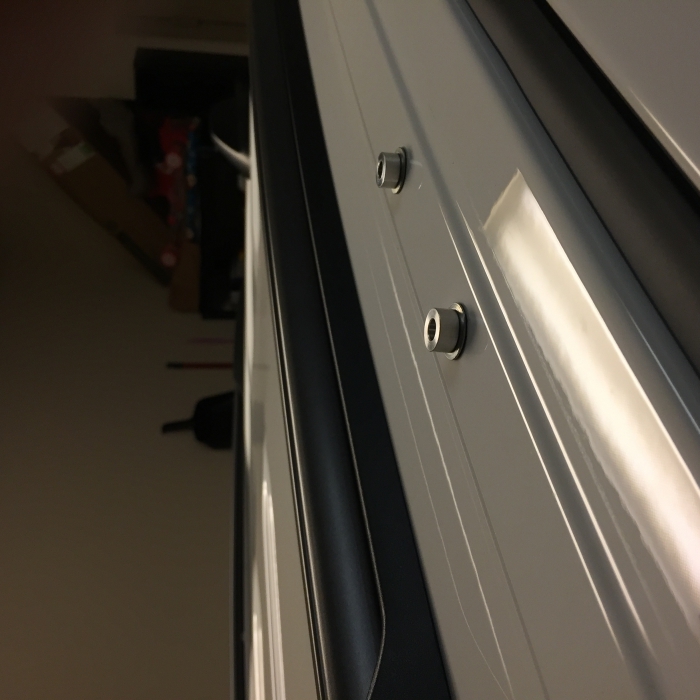 I was able to tighten the screws all the way and was able to slide the rails right in. Take your time but it is possible. I�€™ll attach some pictures. ProsGreat look! Matches my Jeep perfectly! ConsA bit tricky to install. No instructions provided and you have to reuse all factory hardware. Easy installation, used existing bolts from orignal side rails to install these functional side rails with no issues. Waiting on the cross bars now. Installed on 2016 Jeep Grand Cherokee Overland High Latitude. All holes lined up. Only issue is both ends of the rail that require slot fixtures. 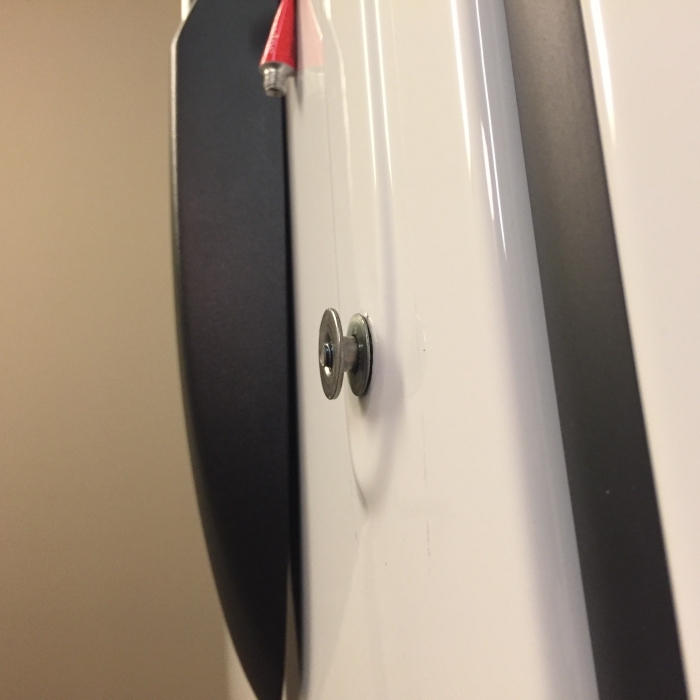 Easily fixed by replacing the existing bolts with flat head screws and fender washers to lock into place. ProsLooks good. Holes lined up. Haven't carried a load yet, but not doubt will be plenty strong. ConsWithout a special mounting kit being included with product, had to replace end bolts with Flat Head bolts and fender washers. Only inconvenience and trip to hardware store. Great replacement for the plastic trim that comes on altitudes. The Jeep dealer told me that they could not swap side rails for the stock ones so I did it myself. (they actually said they would not fit) installed in about 30 minutes, mounted a thule rack to it, ready to go. Perfect color match for 2018 High Altitude grey wheels and moldings. A bit tricky to install due to front insert, but able to use all your existing bolts. I used 4 large flat washers as a replacement to the washers that I took off for the front and back bolts. It is a bit tricky to line up both the front and back at the same time when working by yourself, but just take your time and go slow. I also used additional locktite on the bolts when reinstalling them. Very firm fit after securing all bolts back on. I can shake the entire vehicle by holding onto the racks, they will not come off! I just wish the factory had oem crossbars already on these rails to prevent having to buy additional bars in order to use the rails. ConsFront and back bolt installation, it should be a top mounted bolt insert like the rest of the bolts for an easier fit. After a bit of hardware store shopping for the right front and rear mounts, install was perfect. Excited to mount some bikes. ProsGreat replacement of factory plastic rails. ConsHad to engineer mounts but ended up nailing a perfect fit without instructions. I really needed to put on a set of roof racks with a cargo basket for trip I was taking. The factory SRT roof rails are not actual functioning roof rails. They are just a plastic cap that's bolted to the roof. So I needed real functioning roof rails, but I didnt want the chrome ones that come on most of the jeeps. And I didnt want one that was raised off the roof. I wanted to maintain the low profile look of the factory SRT rails. These where exactly what I needed. They bolted right up using all the existing hardware and bolt holes for my factory rails. They look like my factory rails. But are actually functional now. ProsThey look like my Factory SRT roof rails, but are actually functional, unlike my original ones. The grey and black looks much better ok my black jeep, then the chrome version found on most jeeps. They only took about 10 minutes to install. Easy peasy. Uses all my factory SRT hardware. Since these are factory installed parts there are technically no installation instructions. However here are some links to JeepGarage.org where a forum member shows you how to install these rails if your Jeep didn't come with them. 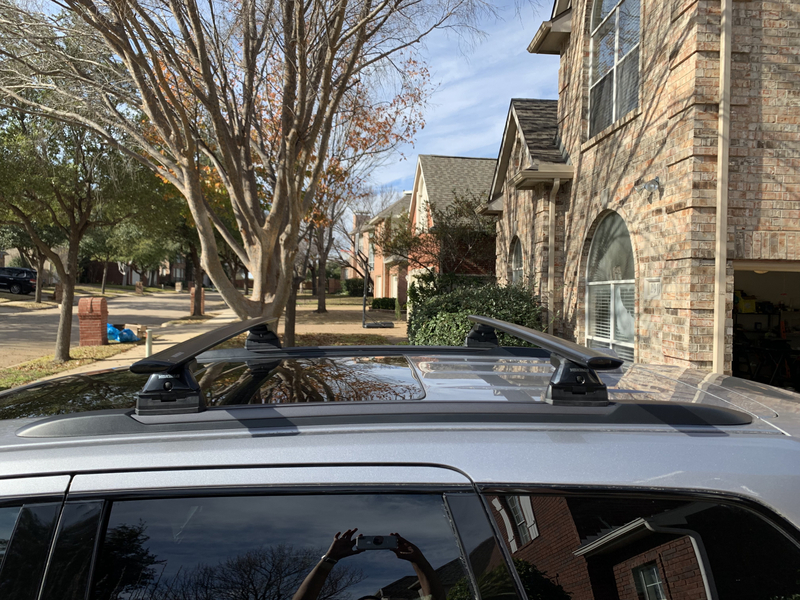 ProsYou can finally add the "utility' function to your Jeep if it came with those non-functional low profile roof side rails. ConsIt may take some extra time and effort to make them fit. Installation took maybe 30 minutes. It says in the description that they are not a direct replacement for the black plastic rails that come with some models. I have the altitude edition and all the screws that came out of the plastic rails matched with this product. The ends are a bit tricky because they slide on, but just use a bigger washer. This product in the grey color let my Jeep keep that murdered out look. Love the look and the rails, and shipping was crazy fast. ConsNo instructions, but it's pretty much just swap and adjust. Work great, easily installed . 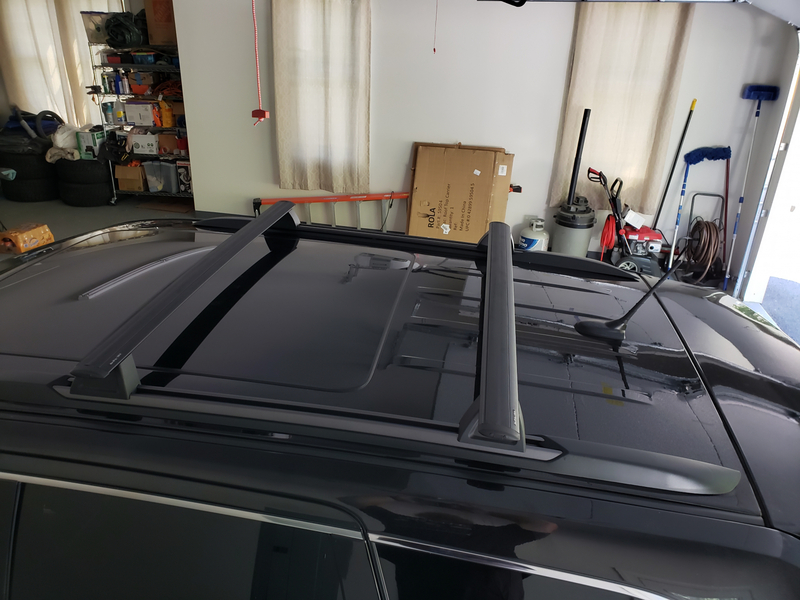 ProsLook great and allow for rooftop racks to be used. This is the OEM version for the Jeep altitude package. 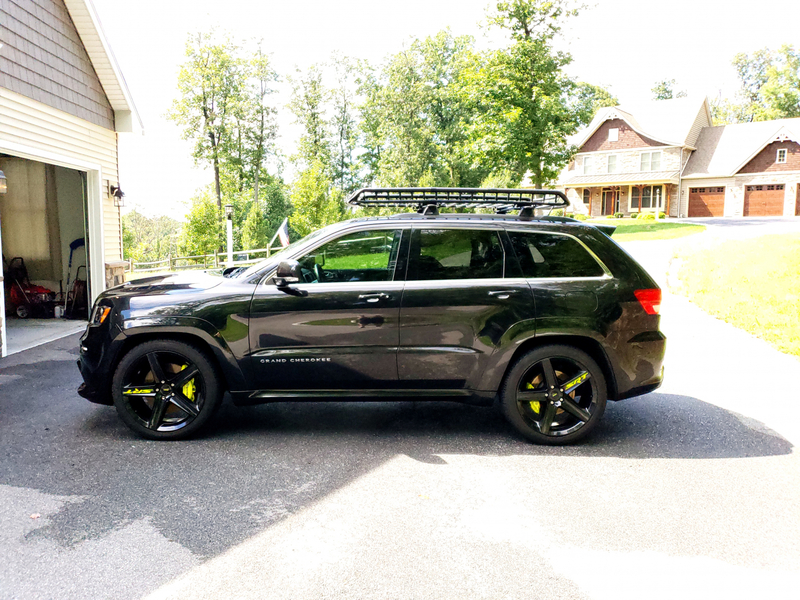 This product was a great addition to our all blacked out 2018 Grand Cherokee Altitude. It is "almost" direct bolt on with the addition of 2 customized Thumb bolts. All the other original hardware from the fake rails can be reused and lined up in the holes on the new side rails. 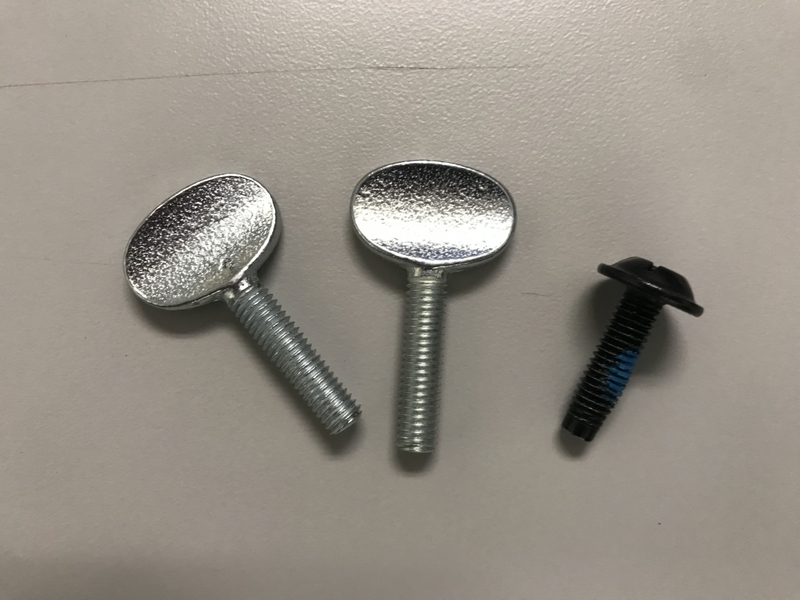 I added some pics of the thumb bolts that I purchased and then used my angle grinder to flatten out and fit tightly into the plastic guides that attached to the front of the side rails. There is one required for each side. 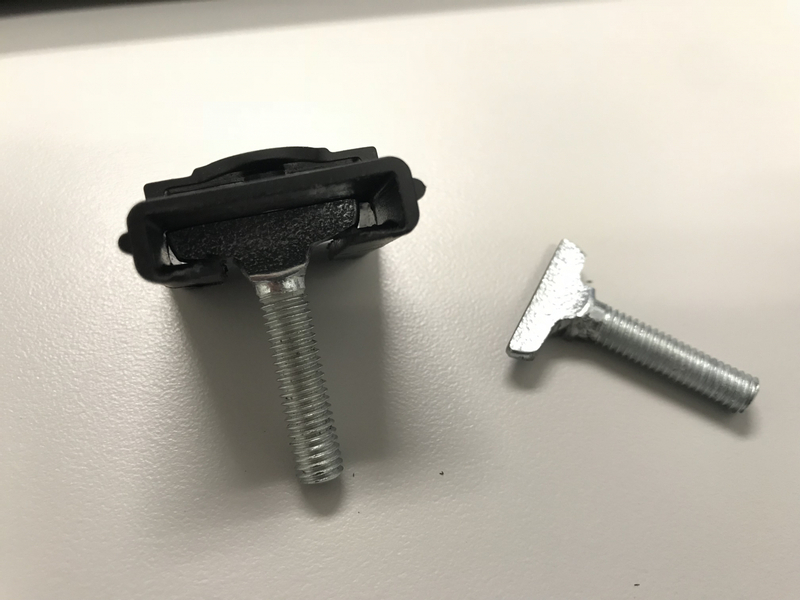 I didn't require any additional hardware other than these 2 thumb bolts. It took me a couple minutes to grind down the thumb bolts and overall about 15 minutes for the total install. I have no clue why Jeep doesn't include these on the Altitudes to start with. Quick install once you figure it out. Overall great product. My suggestion for JfJ would be to create an install guide since Mopar decided to not create one. ProsGreat Product. JfJ was quick and efficent. ConsNo install guide. Had to search the Jeep forums to figure out how to install on 2018 High Altitude. 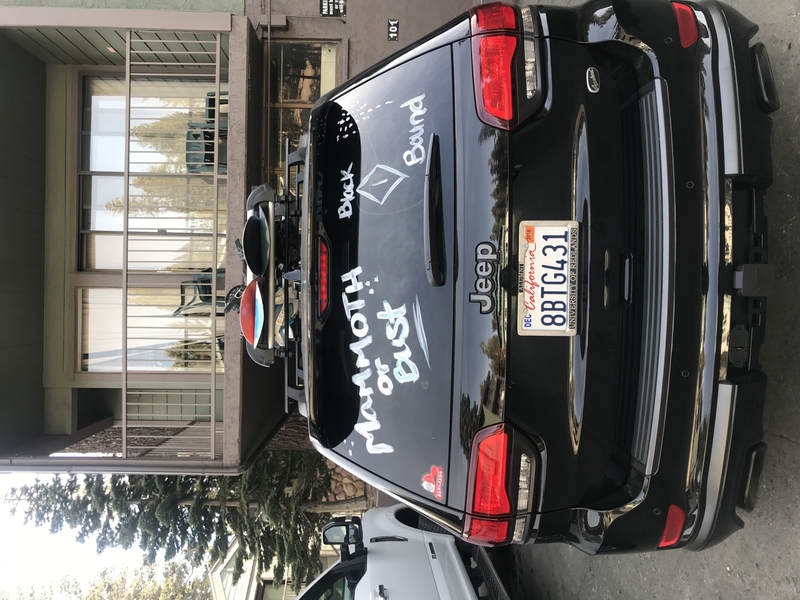 Look on Jeep Forums.com. They have a great write up. the correct configuration of the hardware is tricky, but follow the write ups by other people and you should be fine. Very sturdy once installed. First off this came the next day so I was very happy about it. Only down side is when I switched over to these only one of the holes ( excluding the 1 at the front and back ) match. Thankfully they seem to hold it down really tight and it feels secure. I just need to drill through the wrack to get that little extra security. There weren't any installation instruction with the rails and it took me a couple of tries to install this thing, but still only took an hour. So, not too bad. My one complaint is the front plastic isn't flush with the roof. I tightened the front slide-in bolt as much as I could but there is still about a 1/4 inch gap. It looks fine from a few feet away, but I was hoping for a better fit. Easy to install high quality no Drilling. Didn't really like the idea of using the screw to hold down the front and the back clips. Ordered a weld-nut, all thread and some 5mm spacers. Install turned out well I had to grind down the weldnuts on one side to get the rails to sit flush but overall came out great. ProsRails look great and are actually functional.